Jesus commanded us to make disciples of “ALL” people groups. In response to this command Disciple KC pursues a strategy to accomplish Jesus’ last command in Kansas City. 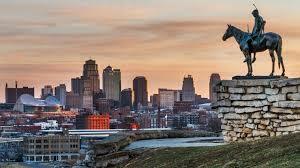 Strategically envisioning all the sectors of Kansas City; geographic, ethnological, demographic, vocational, age, income, affinity, Disciple KC seeks to position a self replicating gospel in every segement of the city while training and coaching the movement until we see Jesus’ last command obeyed. A fresh look at Jesus’ practices helps us learn to eradicate the effects of cultural Christianity with its hierarchical leadership structures and over dependence on building centric ministry that keeps the gospel heavy and unable to move freely through a population. Disciple KC helps churches understand how to practice new and innovative ways of disciple making while honoring the legacy of a local church. No one church or organization will accomplish this goal. It will be a coalition of gospel driven partnerships. Disciple KC endeavors to launch a training movement in obedience based, discovery focused disciple making. Disciple KC provides hands on, creative training that helps develop the mind shifts needed to make the transition from ministry to movement. Join us for practical, inspiring and mind shifting discussion. Interview on Hybrid Church-Can CPM/DMM exist in a local church?